At the Discover Blue[tooth] event before the night before the CES show floors officially opened, the above was obvious. Here are a few of the highlights from this reception. 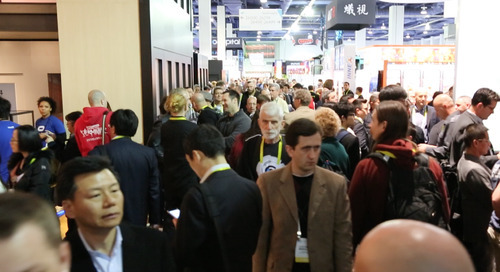 CES was my first opportunity to observe multiple Apple HomeKit compatible devices, and the first of those were from smart home company Elgato. 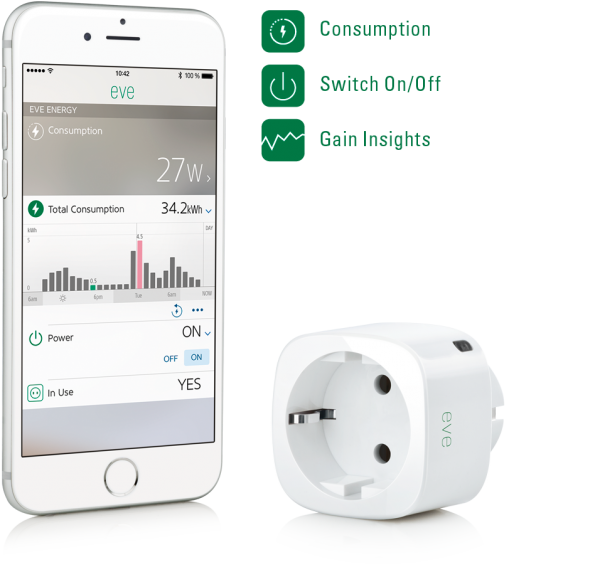 The company’s Eve product portfolio consists of a variety of environmental monitoring systems, as well as wireless electrical sockets that can be con-trolled via smartphone. Connectivity is achieved over Blue-tooth Smart, of course, which is also fundamental to Apple’s HomeKit Automation Protocol (HAP). 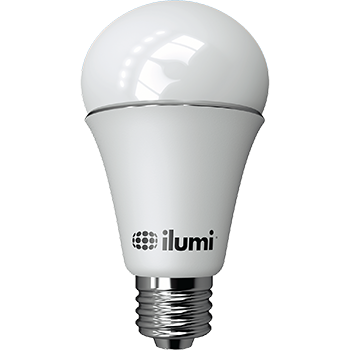 Before you roll your eyes at another smart lightbulb, the significance of ilumi’s Smartbulbs lies in their Bluetooth mesh networking capability. Beyond the customizable color and brightness of the bulbs – which are controlled through a companion app – the energy efficient LEDs combined with low-power mesh networking affords Smartbulbs a battery life of up to 20 years, the company says. ilumi relies on Bluetooth Low Energy (also called Bluetooth Smart) chips from Nordic Semi-conductor in their designs. To hear a Nordic perspective on mesh networking, listen to my interview with Svein-Egil Nielsen from the show. 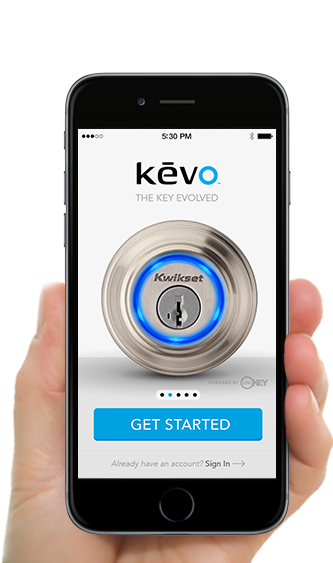 Forgive me while I panic, but Kwikset Kevo has brought Bluetooth connectivity to our door locks. Kevo isn’t HomeKit compatible (though the company’s Premis lock is), but it does work with Nest thermostats and layers intelligence and encryption around the primary security feature of most homes to enable one-touch access with an authorized smartphone or keyfob. According to Kwikset, the companion app enables homeowners to track whether family members are in or out of the house. For the athlete in all of us, quantifying your game just got a little bit easier. Wilson was demonstrating “connected” foot-balls and basketballs at their booth, which employ BLE con-nectivity and various sensors to report statistics on spiral effi-ciency, velocity, drop/catch percentage, and makes and misses to encourage (or discourage) players. 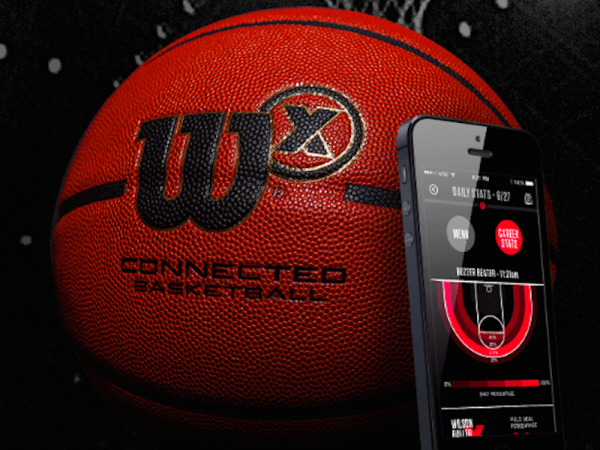 Though there is no means to charge the balls, which come in the $200 price range, the electronics within go into deep sleep mode when not in use to afford what Wilson determines is a 200,000 shot lifetime (for the basketball). Who needs a coach?